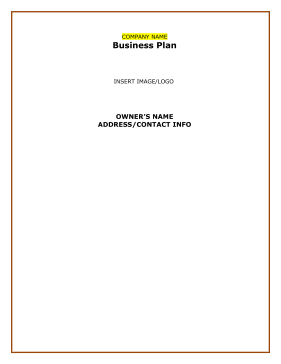 Drywall companies can organize financial plans and predict profit and loss for their auto sales in the home repair and interior decoration sectors with this free, printable business plan. The Company provides the installation and finishing of drywall for residential builders and customers as well as a trusted Sub-Contractor. Over the last 20 years they have built a loyal customer base through trust, integrity, and quality work. COMPANY NAME is considered one of the oldest and most trusted names in the area. The Company was formed in 1990 in [COUNTY] County, [CITY], GA. The Company is an S-Corporation for tax purposes. The Company is owned 100% by OWNER'S NAME. The Company provides the installation and finishing of drywall for residential builders and customers within a sixty mile radius of the [CITY] [STATE] Metropolitan area. The Company also does Steel stud framing, insulation, drywall, acoustical ceilings, doors and hardware installation for commercial customers. The Company works directly with homeowners and commercial property owners besides working as a subcontractor on Construction jobs. COMPANY NAME's primary client base is within a 60 mile radius of the city of [CITY], in [COUNTY] County, [STATE] which includes cities and towns in [STATE] and [STATE]. The city of [CITY] is considered an affluent suburb of [CITY], [STATE] and is part of the [CITY], [STATE] metropolitan area. The [CITY] Metropolitan area has a strong mix of a vibrant business climate, a savvy labor force, and superb quality of life. The current financial plan for COMPANY NAME is to obtain grant funding in the amount of $600,000. The grant will be used to re-locate the business to an area needing revitalization, purchase land, build a new "green" energy efficient headquarters and expand services. Construction Waste Recycling - With the purchase of a Packers 3000 (Grinder), dump truck, and a skid steer the company will be able to do clean-up on construction sites, that would include separation of building products & processing them to be recycled so that a high percentage of the waste can be used on the site for drive way base, landscaping media, & soil additives; greatly reducing landfill volume. Stonemakers Concrete Hardscapes - Concrete contractors make retaining walls, waterfalls, walkways, patios, and much more using solid concrete; an innovative alternative to real rock and block construction.